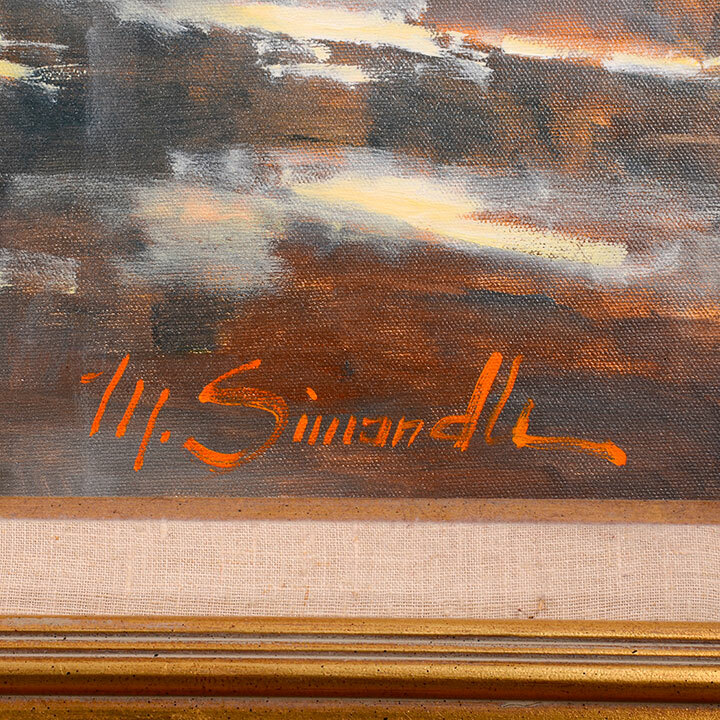 Marilyn Simandle, an accomplished oil and watercolor artist, has been active in the art world for many years. Read on and learn more about Marilyn Simandle! Taught and encouraged by her mother, a musician and painter herself, Marilyn has been painting since age 6. Raised in the San Francisco Bay area, she received a Bachelor of Fine Arts degree from San Jose State University. A music lover, Marilyn has a baby grand piano in her studio that she enjoys playing while taking breaks from painting. 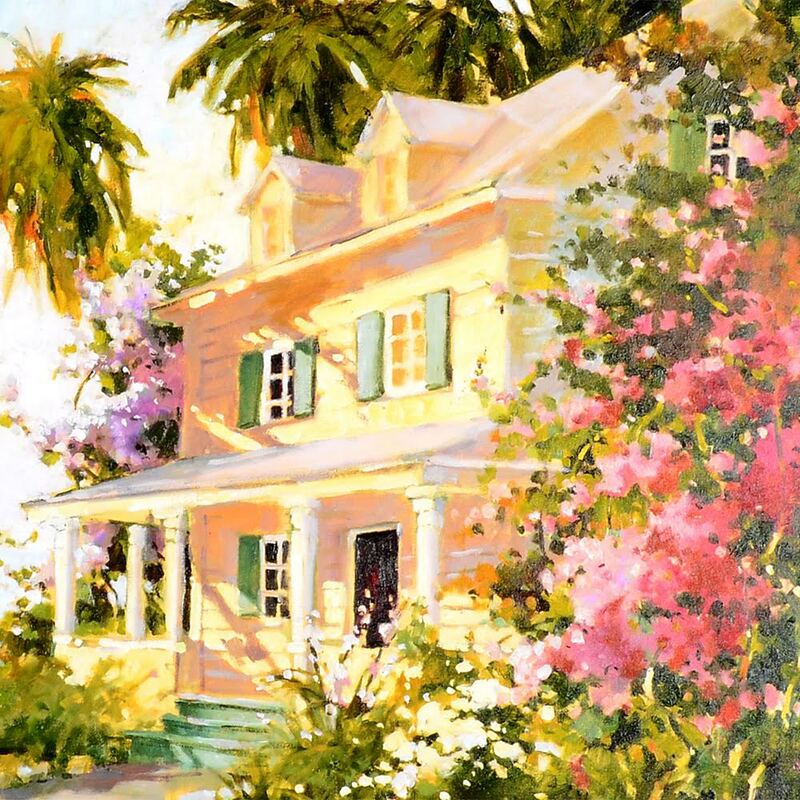 She and her husband, Ted Goerschner, are avid travelers and photographers and recently traveled to England to paint and photograph the beautiful gardens and magnificent coastline. To date, she has exhibited in over 80 one-woman shows. Her oil paintings have won numerous awards at national juried and invitational shows. Most recently, she was awarded the Shirl Smithson Founder’s Award at the Oil Painters of America show in Carmel for her oil Harbor View. Marilyn is a well-respected master of the craft of painting. She has become well known internationally through her own successful visibility campaign in major magazines and high profile exhibitions. Her choice of subject is classically realist, while allowing her own sense of color command her palette. Her work has vibrancy and light-play that is very arresting. Her use of warm and cool colors gives an electric quality to her work. Originally a watercolor artist, Marilyn has committed herself to a new direction through her pursuit of oil painting. Her paintings assimilate the delicate touch and planning needed in watercolor, but with the boldness and finish that only oil painting can achieve. 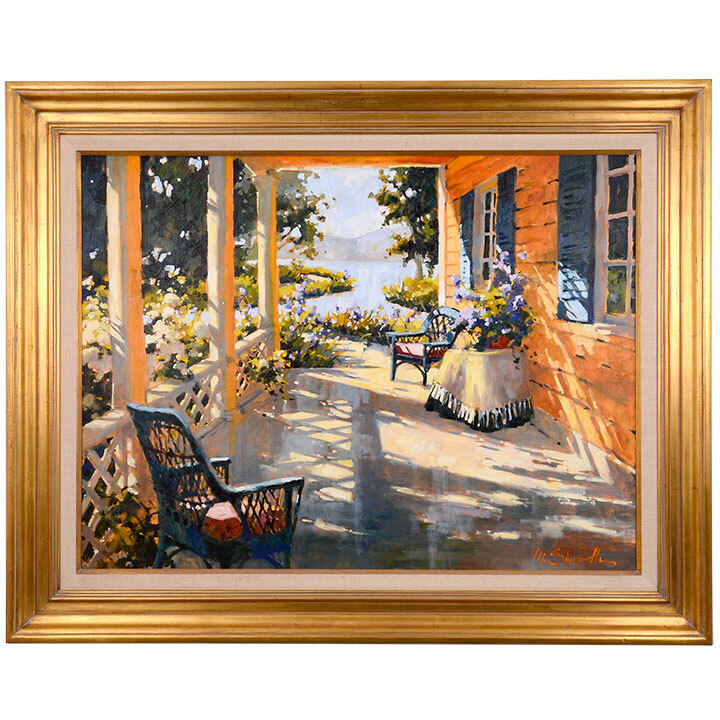 Marilyn is a Master Signature Member of Oil Painters of America, and a Signature member of the American Watercolor Society, Plein-Air Painters of America and the California Art Club. Her work is widely collected by both individuals and corporations. Marilyn spent 15 years sharing her joy and knowledge of art by teaching. She still conducts workshops on occasion. 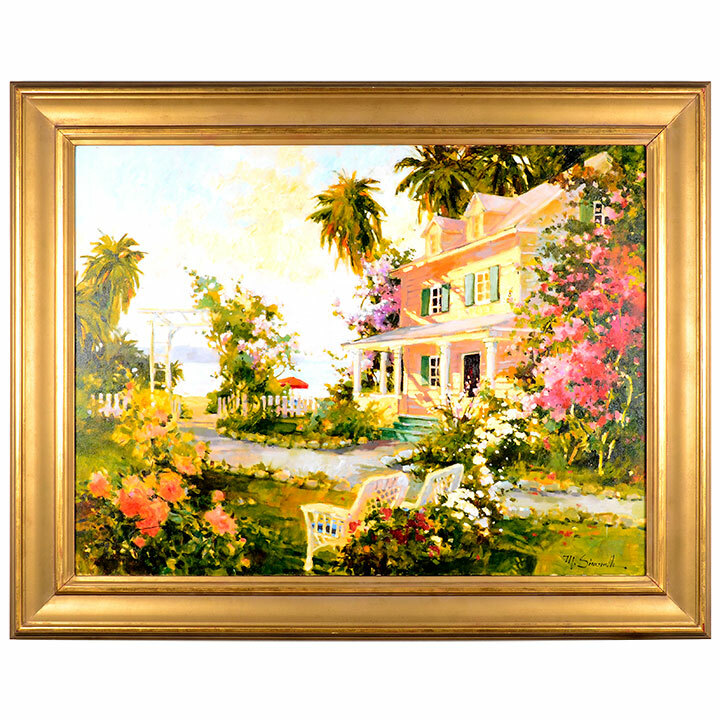 Surrounded by magnificent rose gardens, she resides with her artist husband, two dogs, a cat and 2 horses. For more Artist Spotlights, click here. Posted in Artist Spotlight, Spotlights.